Our culture values the immediate and the right now, especially in business. But unchecked, rapid small business growth can often produce disastrous results. Small businesses with an online presence are often excited to move full steam ahead with their new website. They’re excited about the prospect of new customers, high traffic numbers, and greater annual revenue. In this rush, many small business will seek out the easiest and fastest way to optimize their site in order to move on. However, the small businesses that take their route will end up paying for it later. How many of you have been emailed or have seen ads pop up promising you quick and easy SEO rankings in Google? These are empty promises and will often do more harm than good for your website. Many of these ‘black hat’ techniques involve creating spam sites, illegitimate doorway sites, generating thousands of spam backlinks to a site, and many other methods that do now or in the past used to generate instant ranking with Google, but they often end in catastrophe. Long story short, good SEO for small business websites takes time. Spend more time doing website and web page SEO right the first time, so you don’t have more work to do later down the road. Google has gone to great lengths to ensure all websites play by their rules if they want to rank well in the search engine results pages. Every major algorithm update Google has rolled out has been aimed at improving website quality to better assist online searchers find what they actually want. When we make significant/large changes, but make them over time, we can measure the results more accurately/precisely. The Tortoise beats the Hare in the SEO game. Your small business website SEO plan needs to be well thought out. It’ll involve many factors and require long term attention. That’s just how it is if you want to rank well in today’s modern internet. When you optimize a new web page, it’s absolutely essential that you do keyword research! You can use tools like SEMRush, Moz Keyword Explorer, Ahref’s Keyword Explorer, Keywords Everywhere and several others. Check out Brian Dean’s article on the best SEO keyword research tools you can use to help you get started! You need to hard numbers to know what long tail SEO keywords your target audience is using if you want your web pages to show up in the SERPs for their search query. SEO for small business websites is based on how good your web content is. Create content on a regular basis, make updates to old blog posts, and check Google Analytics and Google Search Console to make sure your web pages are still ranking well for the SEO terms you originally optimized them for. Again, small business web page SEO is all about the long game. Make a point at least once every month to go through your website content and review it. How’s it performing in Google Analytics? Is there something you need to change? Google Analytics, Google Search Console, and other Google Webmaster Tools allow you to track the metrics of your small business website. You can track what keywords a web page is found under, the demographics of your website visitors, what page on Google your result appears, how well optimized your website is for mobile, and so much more! Whether you hire out to an internet marketing company to do this work for you, or you do it yourself, don’t push this step to the side! If you have no way of tracking your website and web pages’ performance over time, you have no real idea of how successful your sales and marketing efforts have been. You don’t have any way to determine what techniques are working for your small business, and what isn’t. Just like your SEO work for your page content, your Analytics data needs to be reviewed regularly as well. Although the times change, the basis of business is the same. It’s all about connection! Today, it’s easier than ever to stay in contact with your target audience, prospects, leads, and customers. Small businesses will always be in competition with bigger businesses to attract new leads and keep them long term. One of the best ways small businesses can work to win this battle is through meaningful relationships and connections. If you or your small business don’t have social media profiles and pages, you need to create them now! I’m talking Facebook, Twitter, and LinkedIn at the least. If you’re a small business retailer (anything from a boutique clothing store to industrial grade machinery), manufacturer, consultant, or service provider you may also want to consider creating profiles on Pinterest and Instagram as well! Once you create these social media profile pages for yourself and your small business, make sure to add social media share buttons to your website as well. That way, your website visitors can easily share your content right to their social media accounts without having to leave your web page! Social media share buttons are great to implement on blog articles and will help to increase the reach of your small business web page content without having to do any real work yourself! Social media gives you several outlets to communicate with your followers and the general public of that social media platform through commenting, following, sharing, liking, public/ private groups, and direct messaging. You can curate your social media content to post at specific times to specific social media websites so your ideal audience will be most likely to see it. And, most social media platforms come with some sort of analytics data you can use to better optimize how you post and when. Social media is a great way to increase your small business brand awareness, deal with concerns or complaints quickly, and build familiarity with customers more efficiently. Small business website SEO shouldn’t be a sprint to the finish line. 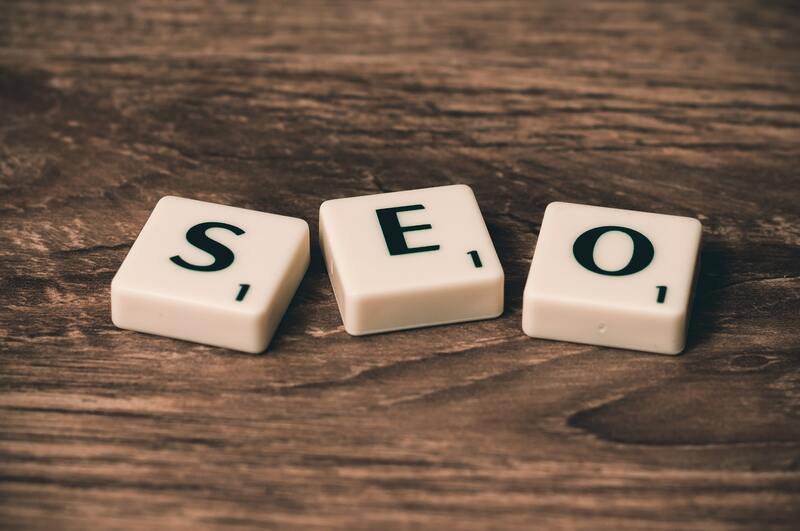 Implementing SEO techniques for your small business website is an ongoing task that will last the entire life of your businesses, so you need to be wary of those that offer the “end all be all” of website optimization techniques. While those “black hat” SEO techniques may get you to the top of Google for a few weeks, it’s by no means sustainable and Google will end up punishing your website harshly for your actions. Instead, take a look at the 3 tips above on how you can best start out on your small business website SEO journey and get to work!